Horror icon Tom Savini has joined the Trick or Treat Studios team. The studio recently made the announcement and their first project together is the Zombie Face Mask Collection. This is huge news for horror fans who will more than likely all be pretty excited to get some Halloween masks that were designed with Savini. Plus, the latest zombie mask collection will be available this year, which is even better news for fans who hate to wait for things. Trick or Treat Studios made the announcement earlier this week that Tom Savini has joined the team. The well-known studio is obviously very happy about their new recruit and we all look forward to seeing what else they come up with after the Zombie Face Mask Collection. The studio released a statement, which you can read below. 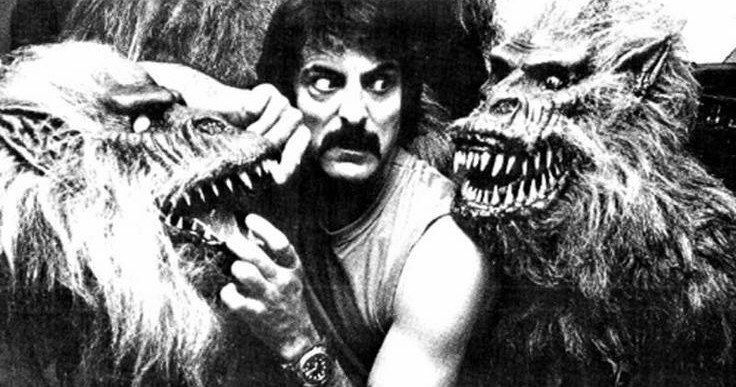 "Special effects artist, actor, director, stunt man, teacher, mentor - all these things could easily describe the career of Tom Savini but none of them do justice in describing his influence on the horror genre. Horror classics like Friday the 13th, Dawn of the Dead, Creepshow, and Day of the Dead are but the first rung on a career ladder than has spanned decades and continues to thrill genre audiences around the globe. Recent years have brought him acting acclaim with roles in films like From Dusk Till Dawn, Machete, Django Unchained, and Grindhouse." In addition to the impressive resume that Trick or Treat Studios mentions above, Tom Savini is a trailblazer in the horror world. His early realistic signature style has been replicated many times over the years. Some of his most well-known work is featured in The Exorcist, but most horror fans know him from his work with horror legend George A. Romero. It's going to be awesome to see what he and Trick or Treat Studios are able to do together. Trick or Treat Studios is already one of the best places to get masks of any variety, but they are sure to make some new and crazy creations with Tom Savini. The studio is also responsible for all kinds of other horror memorabilia, like the totally ridiculous Child's Play 2 Good Guy Doll, which is incredibly detailed, and officially licensed. Hopefully Savini gets in on some of the other projects that the studio has cooking up in the near future. In addition to his extensive work in makeup, special effects, directing, and acting, Tom Savini has written books about his creative process and runs the Tom Savini's Special Make-Up Effects Program at the Douglas Education Center in Monessen, Pennsylvania. Trick or Treat Studios has yet to announce when the Zombie Face Mask Collection will be hitting the shelves, but it shouldn't be too long. While we wait for more information about this great collaboration, you can check out the initial announcement over at the Trick or Treat Studios Facebook account.